At Wellness in the Schools, we are all about teaching children how to keep their bodies and minds healthy. March is National Nutrition Month, so we’ve asked WITS Chef Ricardo, who is a Registered Dietitian Nutritionist, for some expert insight into how to choose healthy foods. All month, Ricardo, our WITS Chef at several schools in the Bronx (CS 55X, PS 73X, Ampark Neighborhood School PS 344X, and PS/MS 95X), will tell us why certain foods are beneficial for our bodies in his weekly #TuesdayTips on Facebook, Twitter, and Instagram. In this post, he explains how the makeup of our digestive tract allows our bodies to make the most of the nutrients we consume. Did you know that our gastrointestinal tract does more than take in nutrients? 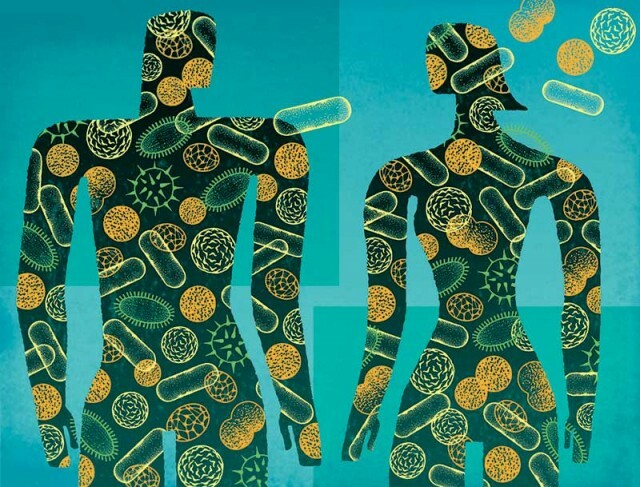 While our guts mainly let in the elements of food that allow us to survive and thrive, our guts are also similar to our skin: the gut prevents inappropriate elements of our outside environment from entering our bodies (like harmful bacteria and allergens). While our intestines have an extensive and sensitive network of immune cells to immediately handle threats to our body, that’s not the only player in determining our gut health. We are also tremendously impacted by the population of bacteria that reside in our gut — collectively known as the microbiome. What we eat has a major impact on the balance of bacteria in our microbiome. Eating large amounts of sugar promotes the growth of “bad” bacteria over the “good” bacteria, which can impair digestion and cause inflammation. Over time, this contributes to diseases like gluten sensitivity, obesity, fatty liver disease, and cardiovascular disease. At WITS, we teach children about the dangers of consuming too much sugar through bite-sized interactive lessons called WITS BITS. While staying away from sweet treats is a challenge, involving children in food decisions and offering healthier alternatives can help build a framework for a healthy lifestyle. We also emphasize the importance of “eating the rainbow,” or aiming for a variety of fruits and vegetables each day. Fruits and veggies are full of fiber, which promotes more diverse bacteria in our guts, supporting our overall health. Keeping balance between the beneficial and detrimental types of bacteria can have a positive impact on our health. Next time you are searching for a snack, trade in a sugary snack for cut up apple slices and yogurt dip (recipe below), and your gut will thank you! 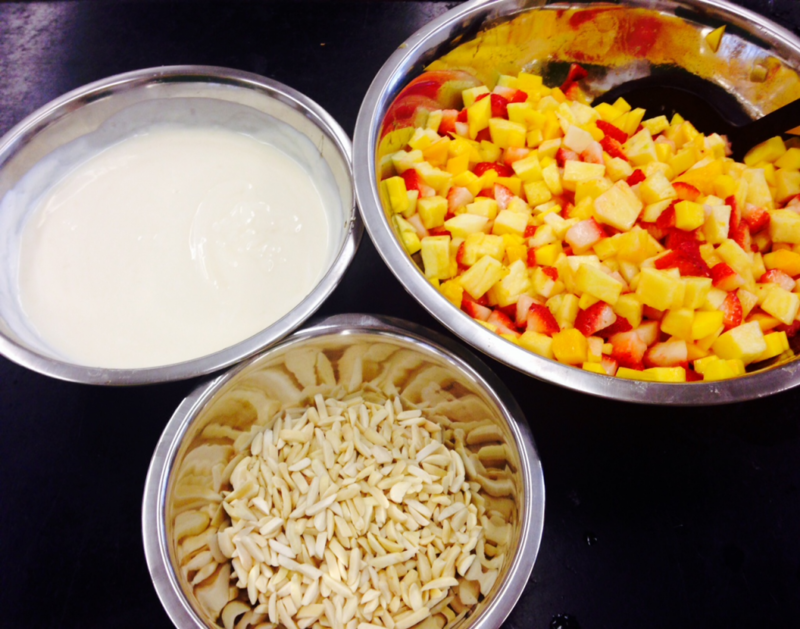 We teach this simple yogurt dip recipe during our WITS Labs. Kids love the added flavor of the cinnamon and lemon zest. In a small bowl, stir together all ingredients. Serve as a dip for fresh fruit.